Digital security is nothing to play about. This is especially true if you work online or use the internet for banking. Security on your computer and when on the internet is a top priority of most websites and software providers. However, a lot of the work is still on your hands. If you want to be safe from a cyber attack, then it is up to you to take the steps to guarantee you are really secure. You can't take any short cuts or leave any thing up to chance. Remember, a password is safe until it leaves the confines of your mind. If you want to be certain that know one ever steals your password, then never share it. Sure, there are extreme cases where hackers can decrypt passwords, but these are very rare. Phishing attacks can also obtain your password, but we'll cover how to avoid these next. For the majority though, if you never write down your password or share it with anyone, then it will never be compromised. 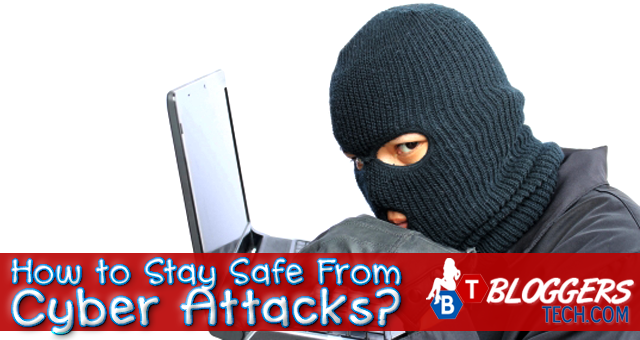 So I found this infographic from itok.net where it shows us how safe we are from cyber attacks, and as a part here in Bloggers Tech blog, I would like to share this with everyone here to keep everyone else be aware of any possible cyber threats. I mentioned earlier that you should beware of phishing attacks. These are attacks where the hacker makes a duplicate of a familiar log-in page, such as your email log-in page. You enter your credentials into this fake web page and the password is sent to the hacker. The easiest way to avoid these phishing scams is by verifying you are on the real web page. Look for the small "https" at the beginning of your URL. This means you are in a secure, encrypted, and real web page. Cyber attacks are out there and they can happen to anyone. Taking a few steps to guarantee your security will greatly reduce your risk. As more and more jobs are moving online, it's even more important today to protect your identity and your money than it was last year.